Ready for some Winter sun in Morocco? Tailor made holidays at great prices with the best Morocco specialist in the UK. Once again we are all thinking about how to escape the British winter and as you already know, Morocco is only a 3 hour flight from the UK offering sun, culture, serenity and beauty without the long flight generally required for a winter break. From £405 per person for a long weekend in Marrakech from with Easyjet flights, breakast and airport transfers included! We have long weekends in Marrakech from £405 per person with Easyjet flights, breakast and airport transfers included! New flights from Bristol to Marrakech now operating. Flights between Bristol and Marrakech every Tuesday and Saturday from £70 return. Book early for best flight prices. Flights daily from London Gatwick & Heathrow, flights also available from Stansted & Manchester. Choose your Atlas mountain hideout. The Atlas mountains are a magnet for trekkers, mountain bikers, enthusiasts of Amazign (Berber) culture and anyone in search of solitude. There are three ranges: the Middle Atlas, with its cedar forests and birdlife, the seldom-visited Anti-Atlas and the soaring heights of the High Atlas, culminating in 4,167-metre Jebel Toubkal. Peace and quiet in Amizmiz, 40 minutes from Marrakech. 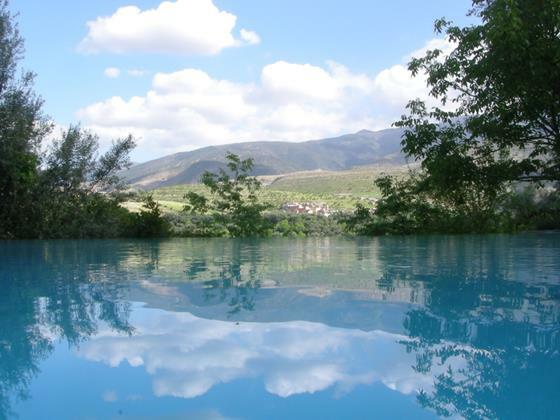 Mountain views from relaxing pools. 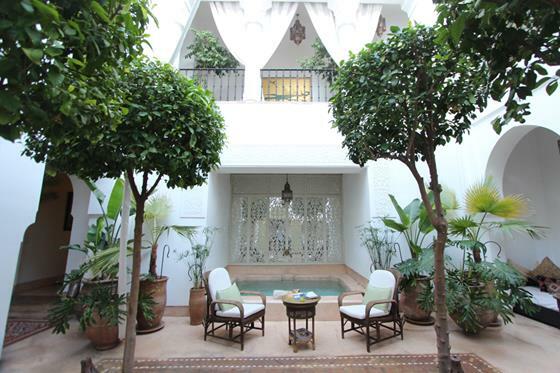 Pick a special riad from which to explore Marrakech's magic. We are very selective about which riad's we work with. Today there are so many riads on offer, but so few of these meet our high standards for design, food, service and technical reliability. 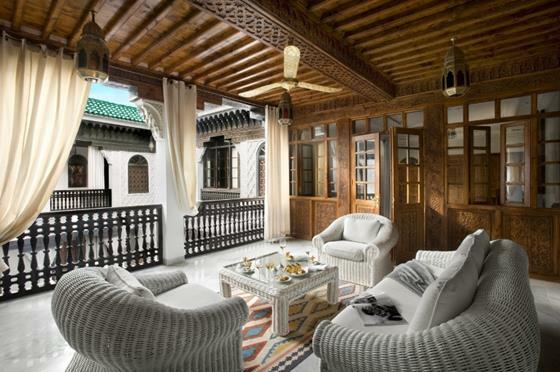 We work with the very best riads in Marrakech and nothing less. Silent riad behind walls and doors of the medina. 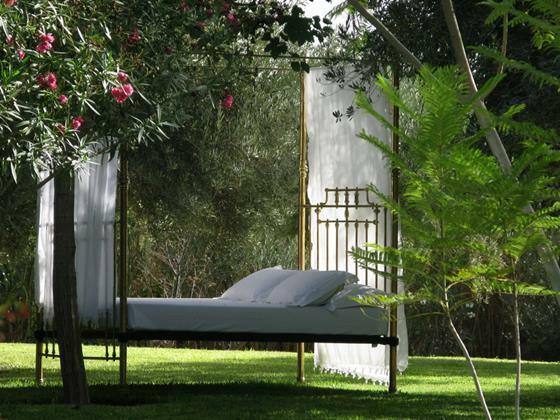 Palm groves offer garden a garden paradise only minutes from the madness of Marrakech. 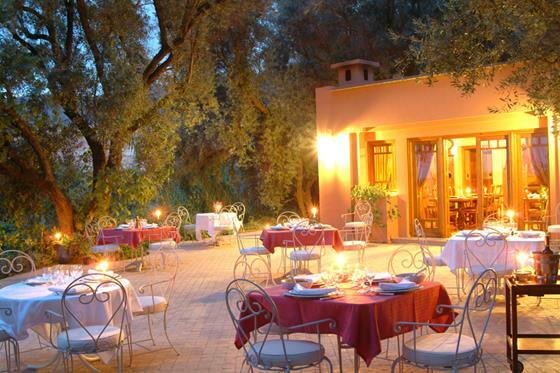 The surrounding countryside of Marrakech hides away some of Morocco's most sumptuous country hotels. Some more like retreats lend themselves to relaxation, escape from the madness of the cities, views that leave one feeling humbled and most importantly a connection with nature that makes one feel grateful to be alive. 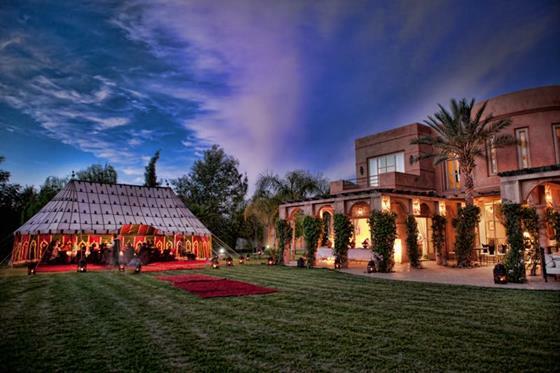 Romantic evenings in stunning gardens under the stars. Head South to the magical serenity of the Sahara desert, gorges, oasis and views that simply must be seen to believe. 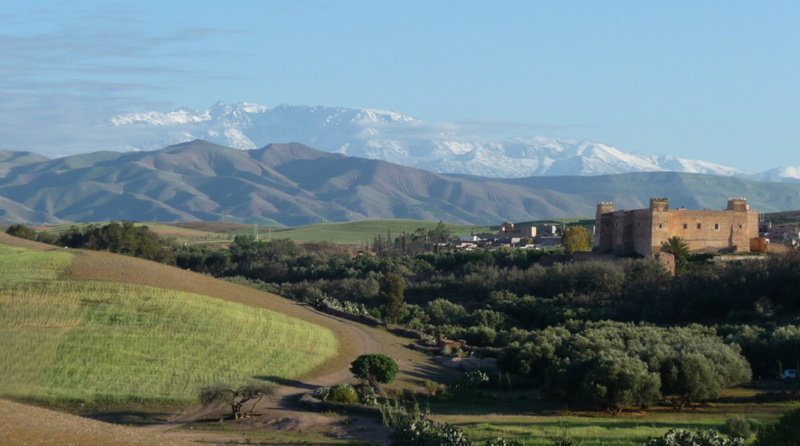 South-east of Ouarzazate is the Draa Valley, dotted with watchtowers, forbidding gorges and lush oases. For centuries, the valley was a stopping place for caravans returning with gold, slaves and salt from the great trading capitals of the Sahara. 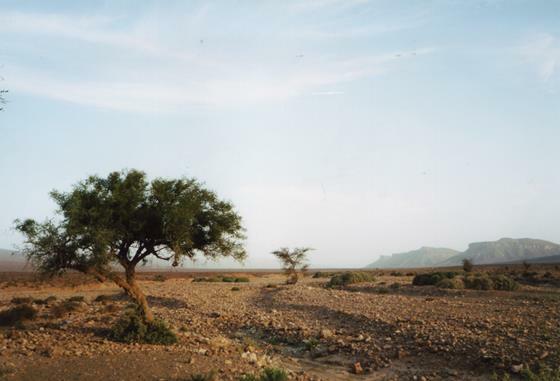 After several miles of scrubby landscape the road takes you to M'hamid and the isolated dunes of Erg Chigaga. 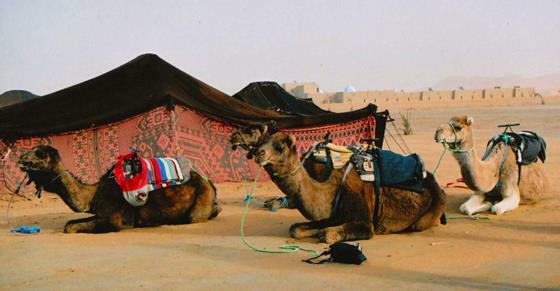 Ovewrnight in a desert camp in various locations in the Sahara. Desolate serenity for hundreds of miles. Watch our stunning 4 minute video here. 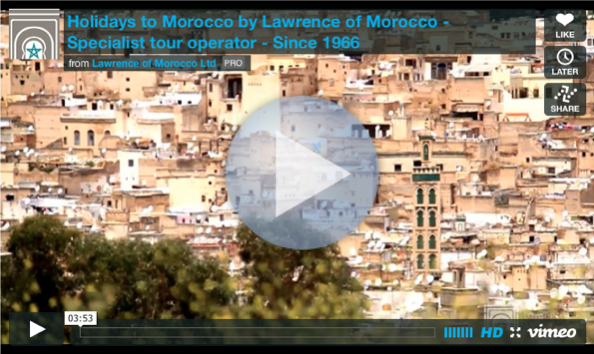 This short video was produced by Lawrence of Morocco in 2013. Free tailor made holiday quotes. Let us plan you a truly sensational trip to Morocco. To complete a booking enquiry form now, please click HERE. Please try to give as much information as possible to enable us to tailor your quotes to your own needs and requirements. The Selman certainly doesn’t do anything by halves, and as for Morocco, more of the same please. Freelance travel writer, Susannah Osborne, travelled to Marrakech with Lawrence of Morocco in September 2012, writing for the Financial Times.